The British Gymnastics Award Schemes provide the foundation for teaching high quality gymnastics in a fun, friendly & progressive way. Almost 500k badges are sold each year for the British Gymnastics Award Schemes and they are continuing to provide Clubs, Schools & Leisure Centres with a source of income whilst encouraging and motivating children to progress to a higher level. There are six schemes each with their own resource packs which include all of the relevant information to help in the delivery of the scheme. FUNdamental Movement ideas for Early Years is a movement programme designed and developed by British Gymnastics in conjunction with early years specialists to help younger children from toddler to 5 years acquire essential physical, social and emotional life skills.The Programme has been developed with six early learning goals in mind - (Social, Physical, Linguistic, Intellectual, Creative, Educational) and all of the activities can be practised safely under the guidance of the Fundamentals Award Scheme Coach or Teacher. FUNdamentals is centred around 16 themes with songs, colours and counting to support movement skills. On successful completion of each theme the child may be awarded a badge and certificate. Click here to learn more about FUNdamentals. 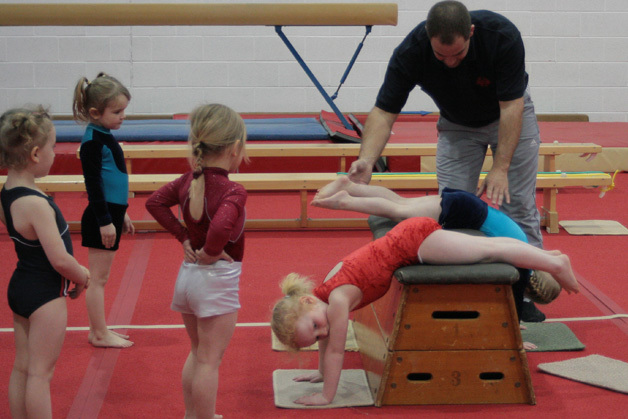 The Pre-School Gymnastics Award Scheme developed for children from 3 years focuses on the development of physical literacy and movement skills. Children learn the three fundamental building blocks of movement – Action, Balance and Coordination, with a range of 40 different activities to choose from. The scheme introduces children to physical activity in a fun yet structured environment so that they can safely learn and experiment action, balance and coordination activities. Badges may be purchased to reward successful completion. The Core Proficiency Gymnastics Award scheme follows on from Pre- School for beginners and children aged 5years & upwards the scheme assists in the progressive development of core skills such as balance, strength, flexibility and co-ordination and incorporates compulsory pulse raising activities. There are 10 types of activity and 8 levels of attainment. Participants can choose from a selection of 80 activities to develop core skills.A comprehensive resource pack underpins successful delivery of the scheme –with 40 work cards presented on DVD. The Advanced Proficiency Gymnastics Award scheme is for children aged 11 years & upwards, it assists in the development of Core fitness (Strength, power, flexibility, co-ordination) and gymnastics skills for the coaching of more advanced skills for use in clubs, schools and leisure centres. The scheme offers a range of activities including Fitness, Floor, Vault & Rebound, Apparatus, Pairs & Groups, Hand Held Apparatus and Dance & Aerobics. It broadly underpins development work for Grades, the Next Step Competition Framework and National Development Programmes. The Trampoline Proficiency Award develops fundamental actions, shapes and landings required for a lifetime of enjoyment and technical progress within the sport of trampoline gymnastics. The award scheme is built around 15 award levels, each offering a variety of skill development.Awards 1 – 5 suitable for pre school and beginners - designed to provide an all round grounding for trampoline as well as being a suitable training programme for people with a disability.Awards 6-10 suitable for gymnasts from 5 years to develop the actions from 1-5 through a set of challenging yet exciting skill sets.Awards 11-15 suitable for competitive gymnasts aged 11 and above and allow for progression to a competitive standard and incorporate individual skill development, drills and routine construction information. The Key Step competition resources have been designed to integrate with the British Gymnastics Award Schemes. The programmes can be delivered through individual schools, District Associations, County Associations, School Sports Partnerships. It can also be used within gymnastics club and leisure centre recreational classes. Key Step covers three areas of gymnastics, Floor, Vault and Body Management and allow participants to progress through three levels that suit their age and ability. Suitable for children aged 5 years & upwards Key Steps makes effective use of the agilities and core skills developed in the BG Proficiency Award Scheme. Key Step develops the pathway between school and club based gymnastics, it can lead into the Next Steps competition framework or can lead into awards in judging skills for young people.